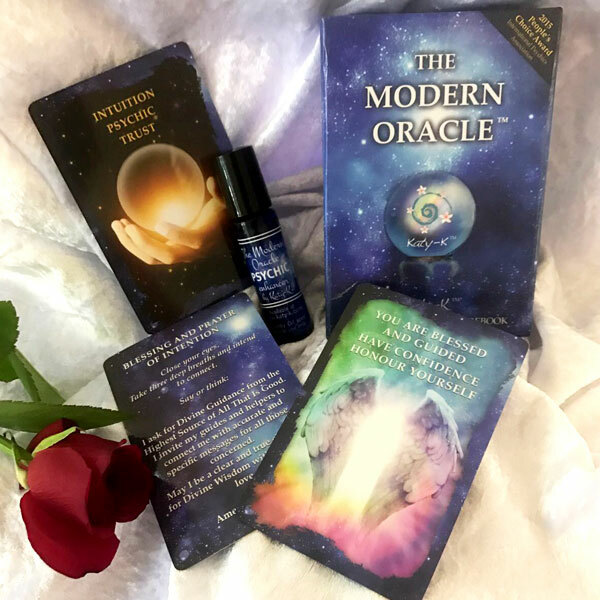 This special pack includes both the Modern Oracle Deck and Guidebook, and the new Psychic Enhancer Alchemy Oil. 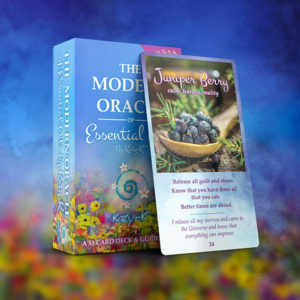 The Modern Oracle Deck & Guidebook is an easy to use deck that is appropriate for all levels of experience. This vibrant deck of cards deliver a modern twist providing practical guidance and clarity in the world of today. These cards are a great tool for developing your intuition as they feature clear textual cues as well as beautiful imagery. 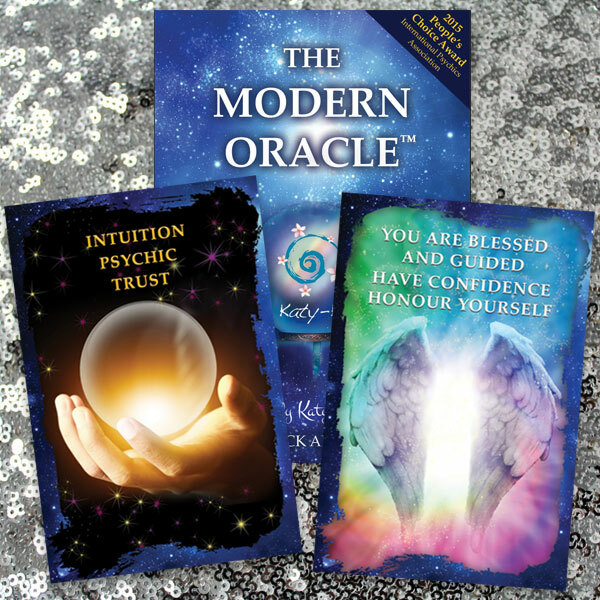 The Modern Oracle is for the Psychic of today and those seeking guidance. 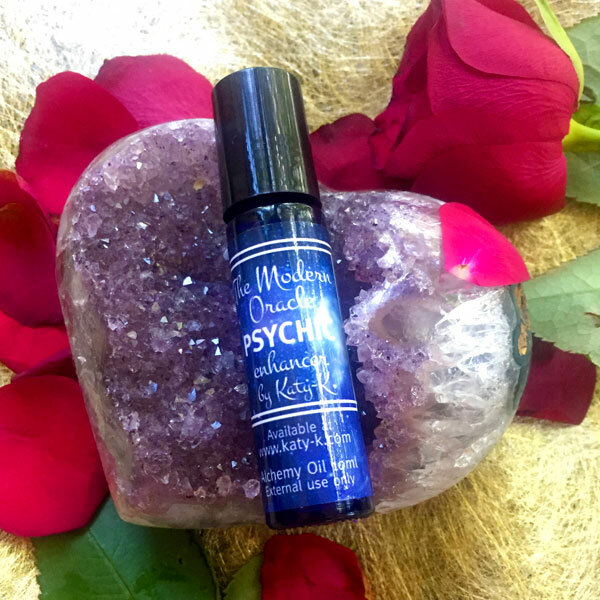 The Modern Oracle ‘Psychic Enhancer’ oil is available in a 10ml Roller ball applicator bottle containing a hand blended mix of essentials oils in a coconut oil base. 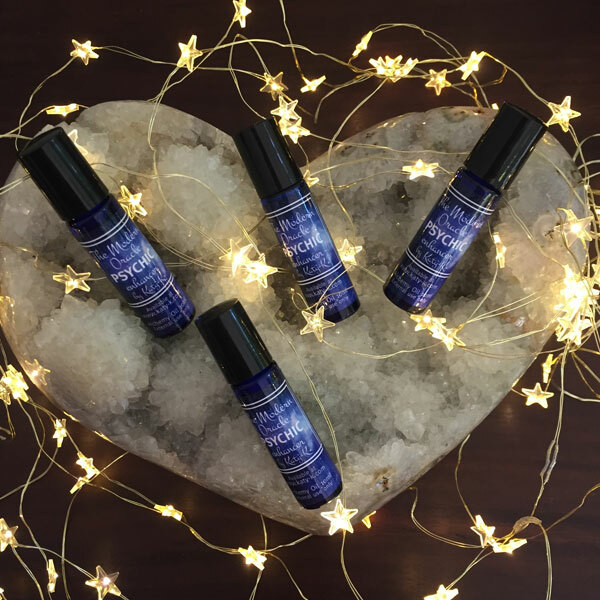 Each bottle has been individually prepared, energetically charged and empowered with psychic crystals and the energy of many moon ceremonies. 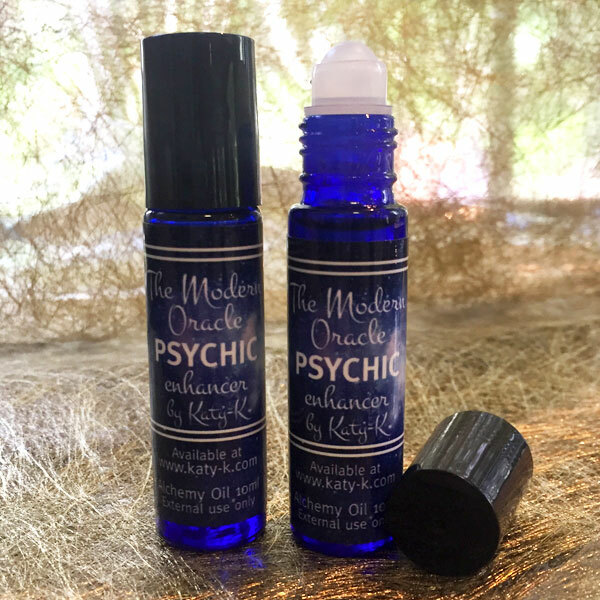 This ancient spiritual recipe has been channelled by ‘Katy-K’ and was created to assist you with your psychic development and heighten your awareness. 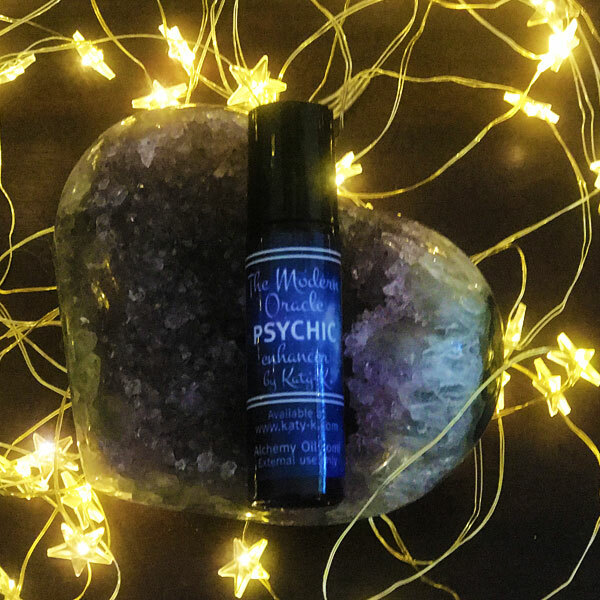 It can also be used for anointing in ‘Spiritual ceremonies’.